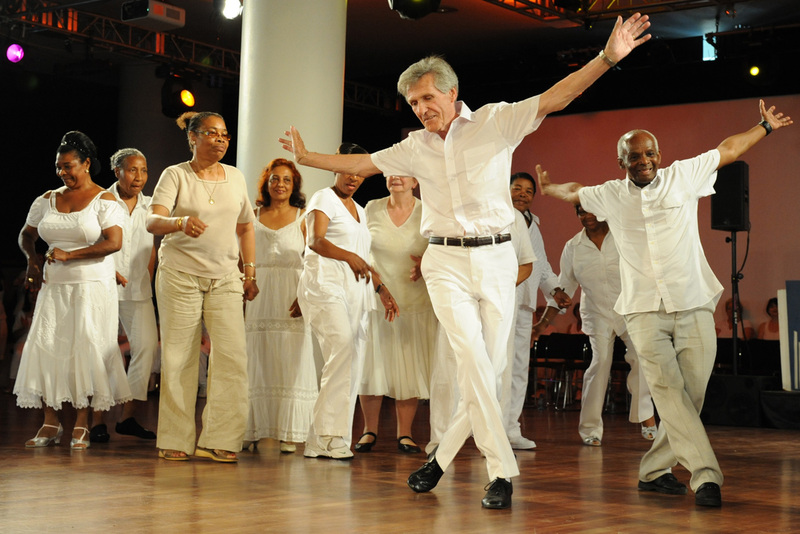 The core premise of Dance to Health is to use dance to increase older people’s strength and balance and so reduce falls and falls-related hospital admissions by up to 55%. Falls are traumatic for older people and cost the NHS £2.3 billion per year. Current falls prevention exercise programmes face challenges: in particular older people’s low take-up and adherence; people are reluctant to commit to physiotherapy which is often done alone and is deemed boring and repetitive. Dance to Health uses the two evidence-based falls prevention programmes, FaME and Otago, which reduce falls by up to 55%. In July 2015, leading physiotherapy trainers Later Life Training led a week’s intensive course with partner dance organisations. East London Dance artist Jennifer Irons, Danielle Jones and Molly Wright learned the fundamental elements of FaME and Otago. They and artists from other partner organisations have gone on to design a regular dance class programme for a 6 month delivery project. Participants from our older people’s dance group, Leap of Faith, have been trained as Peer Motivators and assist delivery of the Dance to Health workshops, inspiring other older people to join in. Dance to Health groups offer a fun, sociable and creative way for older people to participate in falls prevention exercise through dance. Older people report noticeable improvements to their strength and mobility. Six pilots are underway in London, Cheshire and Oxfordshire. Aesop is working with the Sidney De Haan Research Centre for Arts and Health based at Canterbury Christ Church University to effectively evaluate the Dance to Health 6-month pilot project. The evaluation team is studying the process, quality assurance, health/artistic/social outcomes, health economics, and social enterprise business modelling and development. East London Dance is the lead delivery partner for Dance to Health in London and we are currently working with the partners Amicus Horizon and Redbridge Jewish Community Centre. We run regular classes twice a week for 2 hours in both centres, and each has a social element where participants can have a cup of tea and talk about their week! 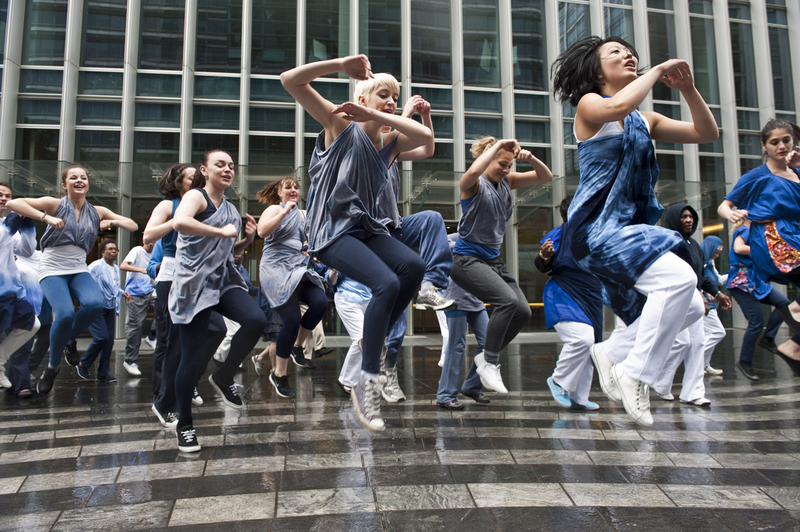 We were commissioned to create a performance piece with our Dance to Health groups and Leap of Faith for Aesop’s first national Arts and Health Conference and Showcase at the Southbank Centre in February 2016 which was a huge success. "I felt as though I am capable of doing more than I thought. I enjoyed it because I didn't realise how much mobility I still had, it gives me hope. It made me feel free." "I took part in a Dance to Health class and found it a very creative and fluent way to challenge participants' balance. The instructors and peer motivator are positive and supportive. 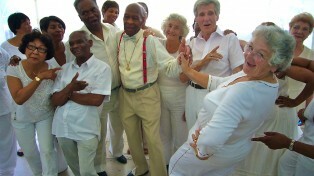 Dance to Health successfully facilitates falls prevention for the older population." "This is really interesting stuff... we are naturally interested in all initiatives that reduce the burden of ill-health, and that is central to our five year forward view. So I would be happy to talk further... as to how we might give greater national prominence to local initiatives such as these."